Any material that can be processed into a yarn e.g. glass fibre, carbon fibre, and plastic filaments etc., can also be formed into a knitted mesh structure. 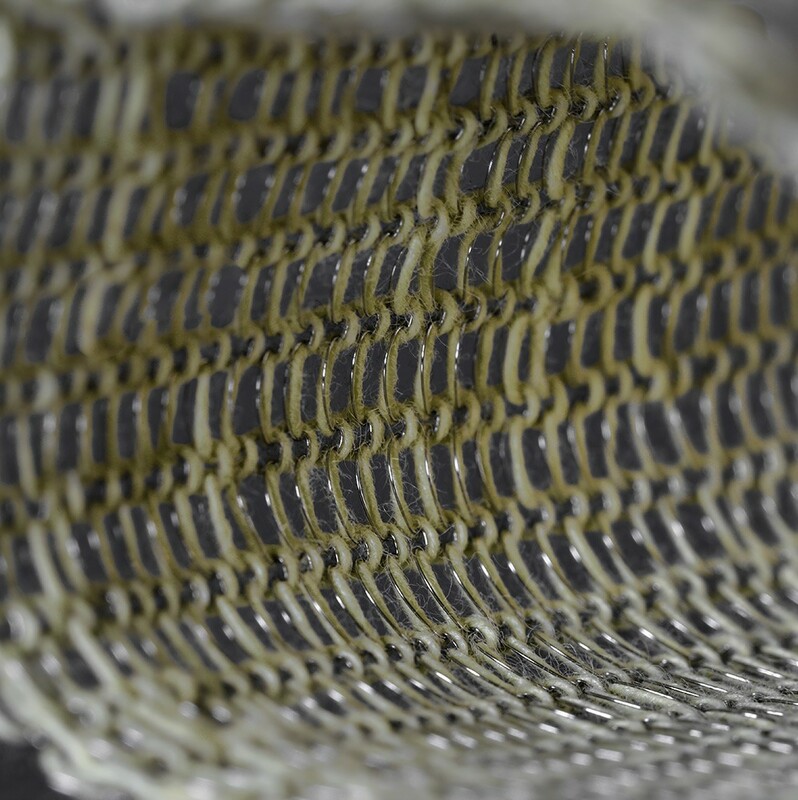 Knitted mesh produced from yarns display the underlying characteristics of the processed yarn. Meshes can be designed with a huge range of properties including: extremely light weight, high levels durability, temperature and corrosion resistance, and structures designed to capture moisture. Yarns can be used in a range of applications e.g. ‘fog harvesting’ mesh used to capture water from cloud mist in low rainfall areas, particularly in the southern hemisphere.